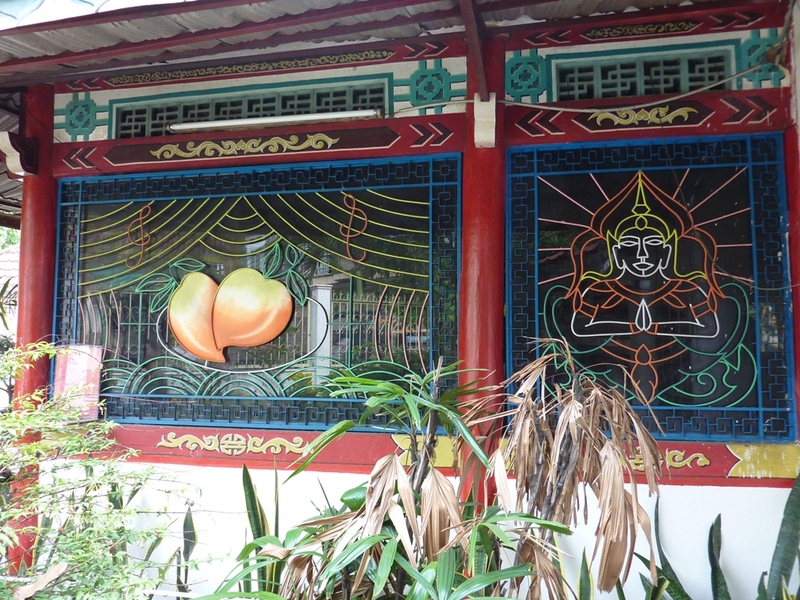 The windows of the Actor's Pagoda in Saigon's Go Vap district. Tonight (June 28) I will be telling some of the stories behind Destination Saigon, showing some lovely pictures and having a whole lot of fun - it would be woderful if you could join me! I will be introducing some new material, so if you have heard me before, never fear - there will be something novel for you to experience tonight. Come and join Walter, raconteur extraordinaire, for our June author talk at the library. Walter's first book, Destination Saigon, offers the reader a taste of the real Vietnam and its people on a sometimes funny, always fascinating journey from the bustling cities to out of the way villages, into Buddhist monasteries and along the Mekong - a real delight for armchair travellers and those contemplating their own adventure. 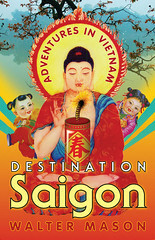 Destination Saigon was named one of the ten best travel books of 2010 by The Sydney Morning Herald. 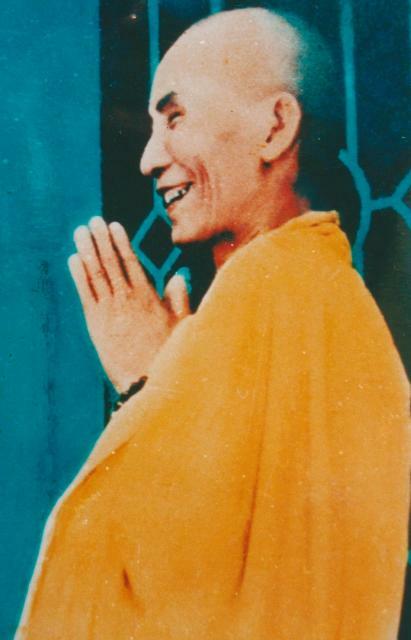 Though these days people in the West view him as a figure of bizarre fascination and even horror, Thich Quang Duc remains a hero to Vietnamese Buddhists, and is even called Thich Quang Duc Bo Tat - the Bodhisattva Thich Quang Duc. He is the monk famous for burning himself alive in protest at the continued Vietnam-American war, and the image of his burning body sitting upright in the lotus position became a worldwide symbol of the anti-war protest movement. 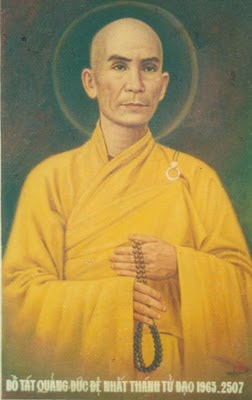 Though he hailed from Hue, Thich Quang Duc was normally resident at Saigon, at the Quan Am Pagoda in Phu Nhuan District. This temple is still there, on the re-named Thich Quang Duc street, and upstairs it has a small and rarely visited museum to the Bodhisattva. Normally closed to visitors, it contains various relics of Thich Quang Duc - his pillows, his clothes, his books and other everyday items. The temple also has his most sacred relic, the small charred heart that was left after his body had been consumed by petrol-fuelled flames. This heart will be housed in a large tower being constructed at the top of the temple. It may well be finished by now (I'd love to hear from anyone in Saigon who is aware of its progress), and it is already a striking landmark in that part of the district. At the very top of the tower is a large sculpture of two hands clasped together in prayer. It is really quite beautiful. 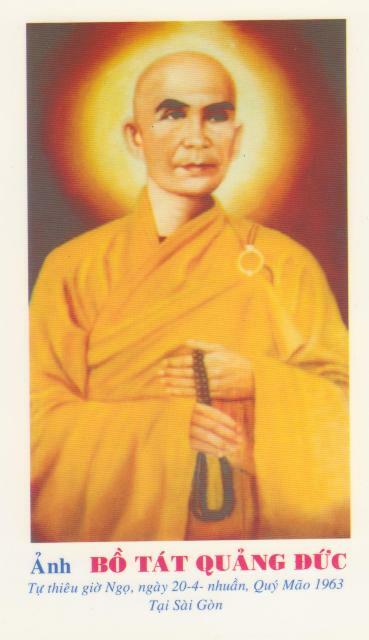 Though Thich Quang Duc was the first of the Buddhist martyrs, many were to follow, both monastic and lay people. 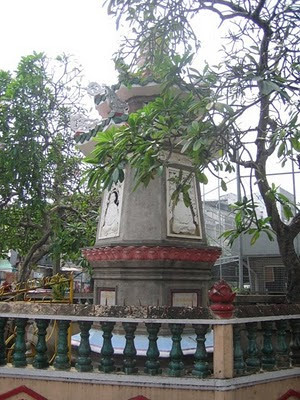 For many years a small monmument to Thich Quang Duc stood at the corner of Nguyen Dinh Chieu Street and Cach Mang Thang Tam Street in Saigon, but recently a brand new one has been opened by the City authorities just across the road, as part of a memorial park. It transported me instantly back to Vietnam, where this particular poster is very commonly encountered, particularly in the guest rooms at temples and on the walls of vegetarian restaurants. 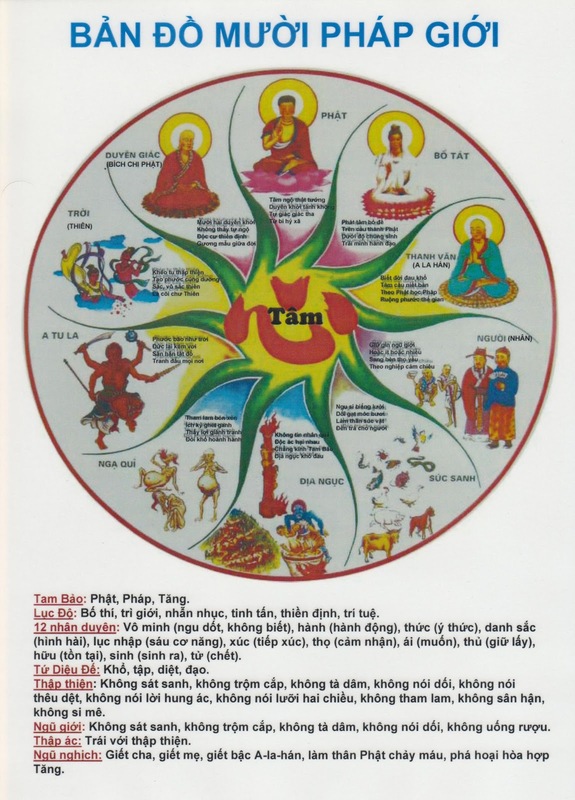 It is a chart of the various states of rebirth we might hope to attain. 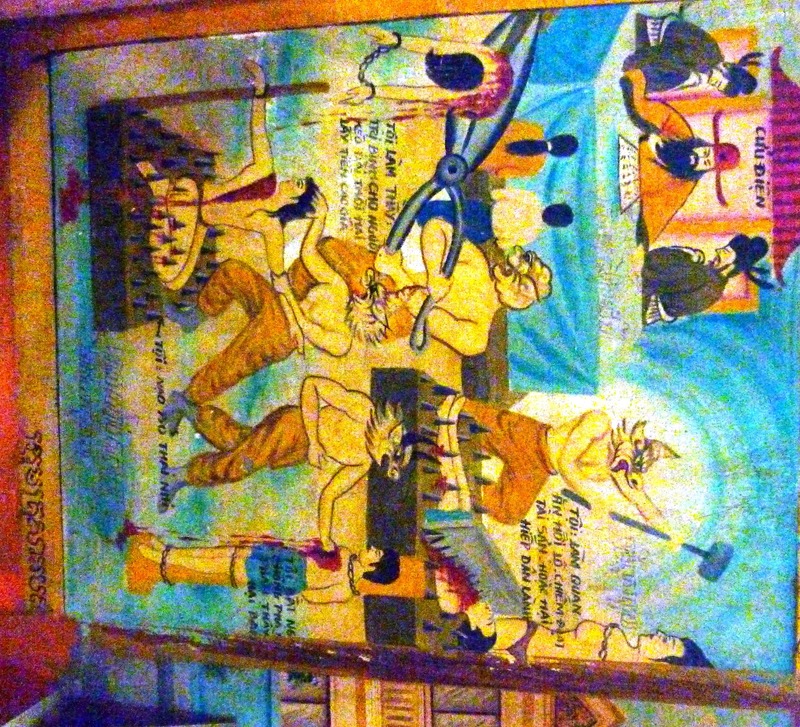 Now of course, some of those staes of rebirth are in hell, where the wicked must pay for their torments. This used to be a decorative motif much beloved of Buddhist temples, though it seems to have become unfashionable in recent years, and many temples have painted over their vivid wall murals depicting the various torments of hell. 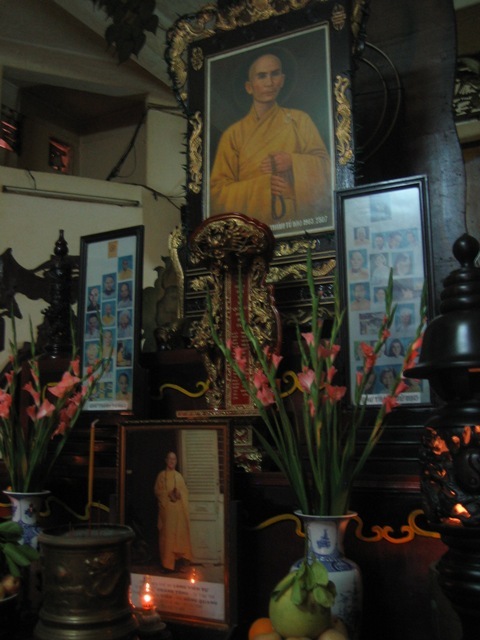 I found some intact, however, at the Vietnamese Buddhist temple in Phnom Penh. 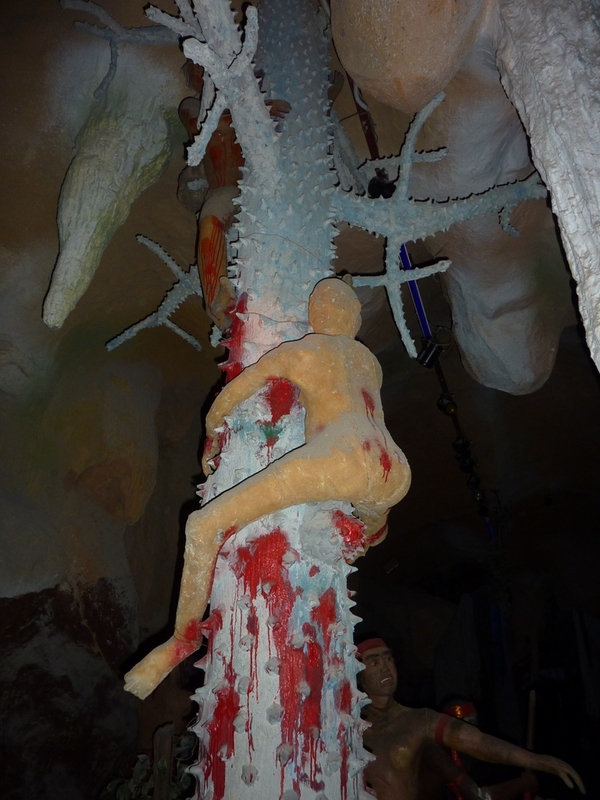 And while in Siem Reap I visited the truly ghastly Cambodian Culture Village, where the only thing even mildly amusing was the "Tunnel of Judgement" featuring 3D renderings of the punishments infliced on the evil in the hell realms.